Rebecca and I have become relatively experienced AirBnb users over the years, staying everywhere from Zion National Park, to Puerto Rico, to Nicaragua. When we decided to choose an AirBnb for our 1yr wedding anniversary, I opened up the search filters and began picking anywhere that looked interesting and allowed dogs. 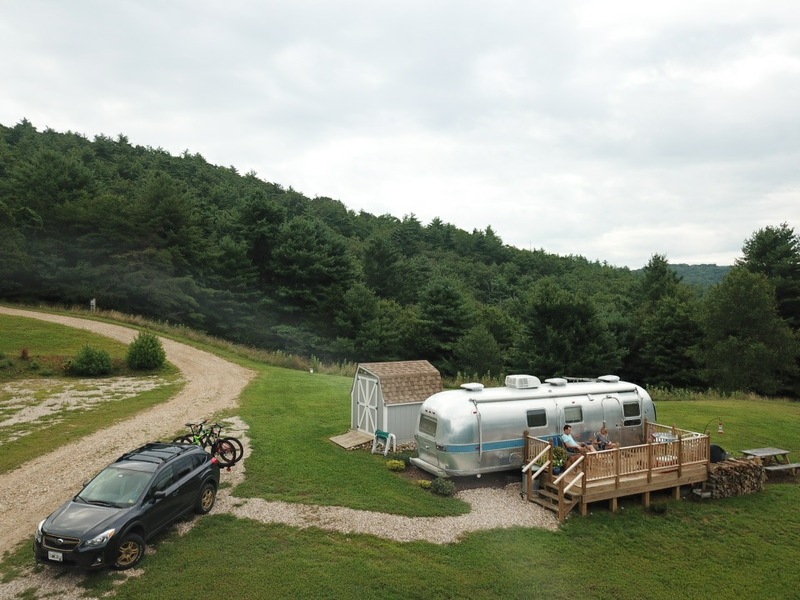 The result was fantastic - an Airstream trailer nestled just off of the Blue Ridge Parkway! We were greeted by a heartwarming card and two mini-bottles of champagne to celebrate our anniversary when we arrived on Friday night. 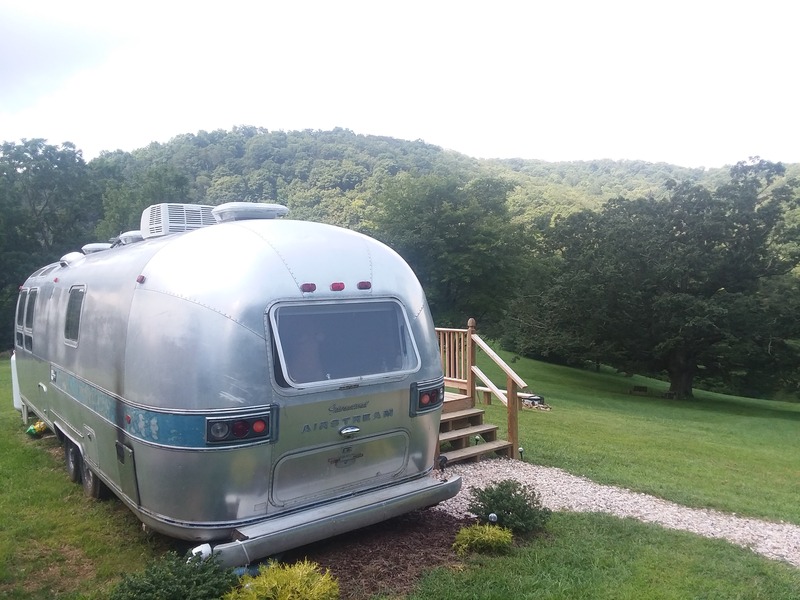 As we settled in, we kept discovering tiny compartments and neat design aspects of the 1971 Airstream - it was truly one of the most cozy stays we've had through AirBnb. On Saturday, we percolated coffee & prepared a light breakfast, before touring the property with one of the hosts in his Kubota. The land was impressive and Joe clearly took pride in it. 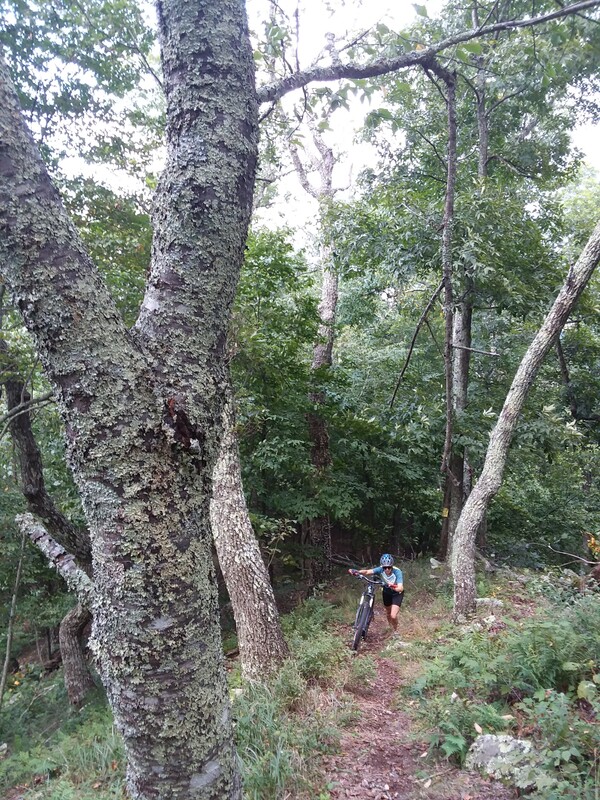 After getting the lay of the land, we set our sights toward a mountain bike ride at Whetstone Ridge. 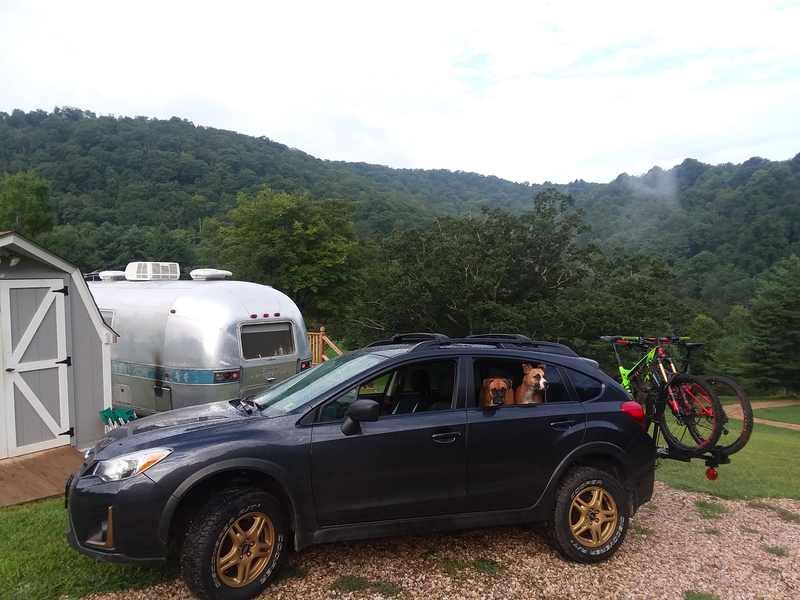 For this outing, I dropped off Rebecca and the dogs along the Blue Ridge Parkway, then drove the car to the endpoint of the ride before pedaling back to them where we'd enter the woods. 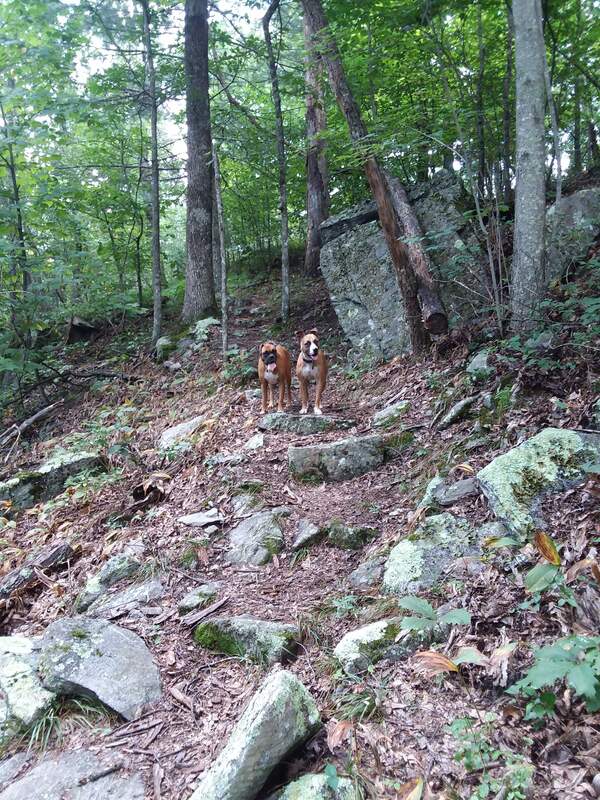 Although the elevation profile made it seem like the majority of the climbing would be suffered during my ride back to them, we soon discovered that there were several short, but impressively steep climbs awaiting us & the dogs once in the woods. Although grueling, the ride was enjoyable. Eventually, though, the dogs' paws began to wear out, so we did our best to control the pace in order to minimize their pain. As usual, I put Ruprecht on my back and pedaled him for a bit to give his paws a rest. Eventually, we reached the car and were able to dunk the dogs in a nearby creek to allow them to recover. The next day we packed up the car once again to head home. The dogs were so worn out from the previous day that we hardly noticed they were in the back - not a peep from them the whole way home.